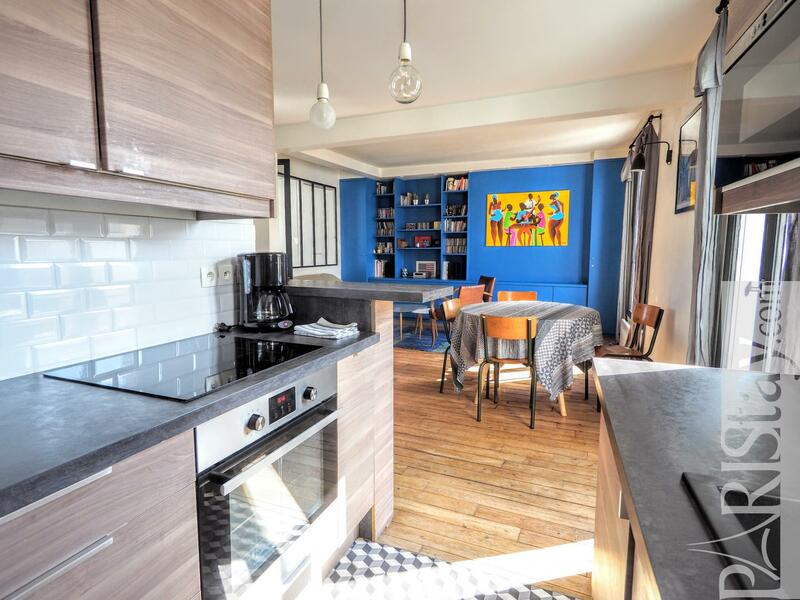 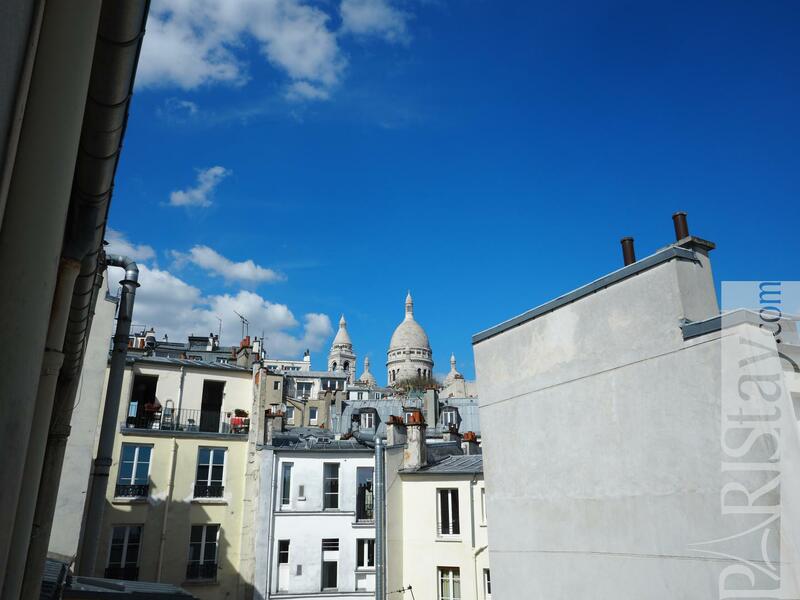 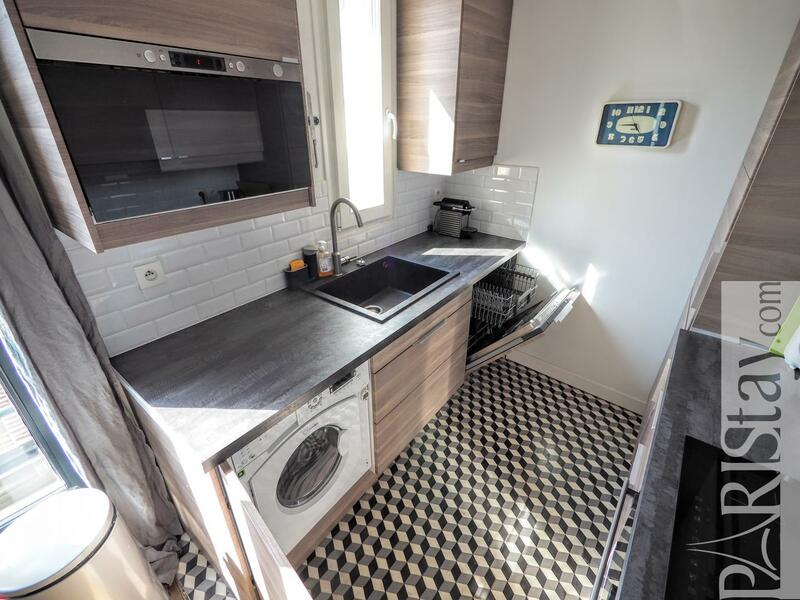 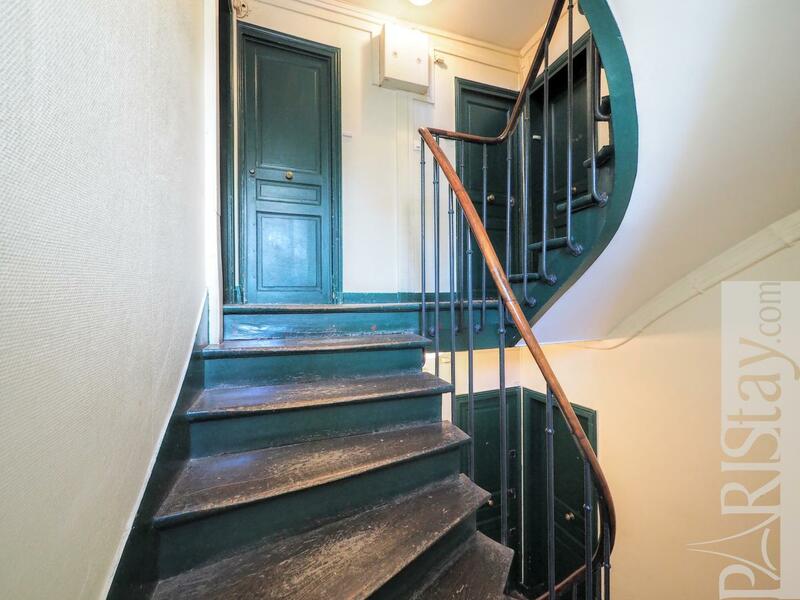 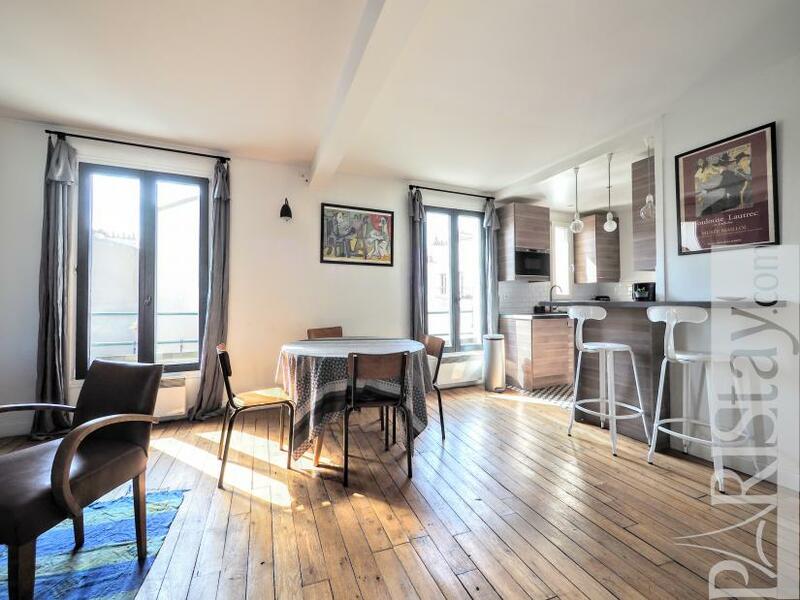 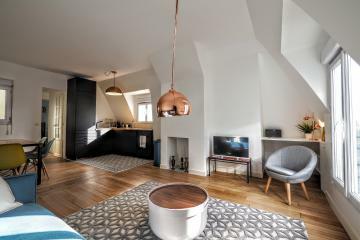 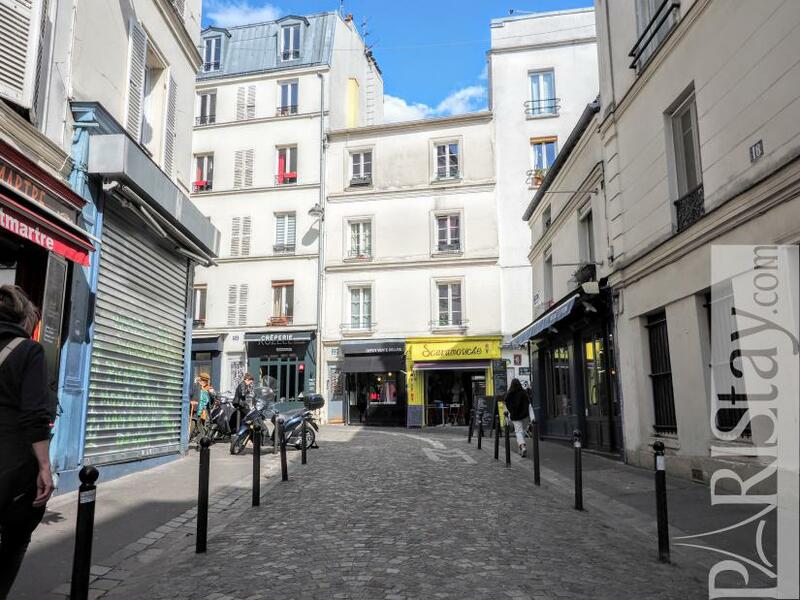 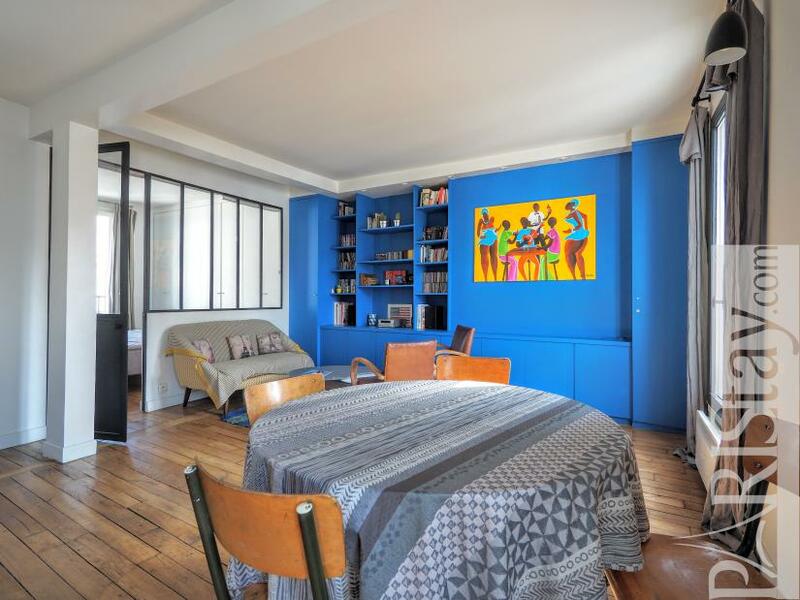 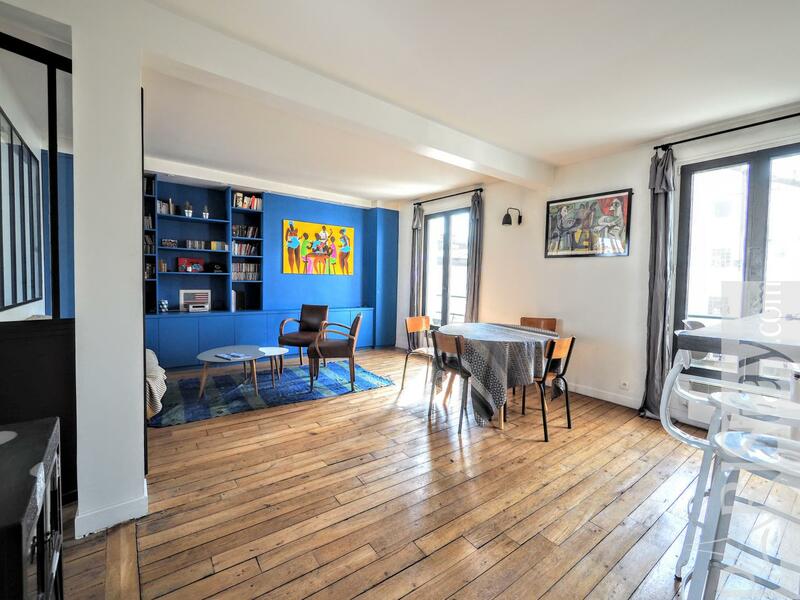 In the heart of Montmartre, next to the Metro Abbesses and Rue Lepic, in a quiet pedestrian street, here is a wonderful 2 bedroom apartment rental in Paris. 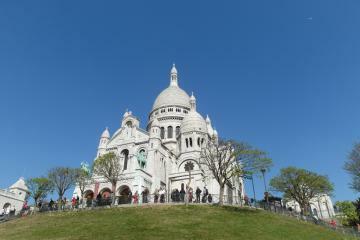 Let's enjoy the village! 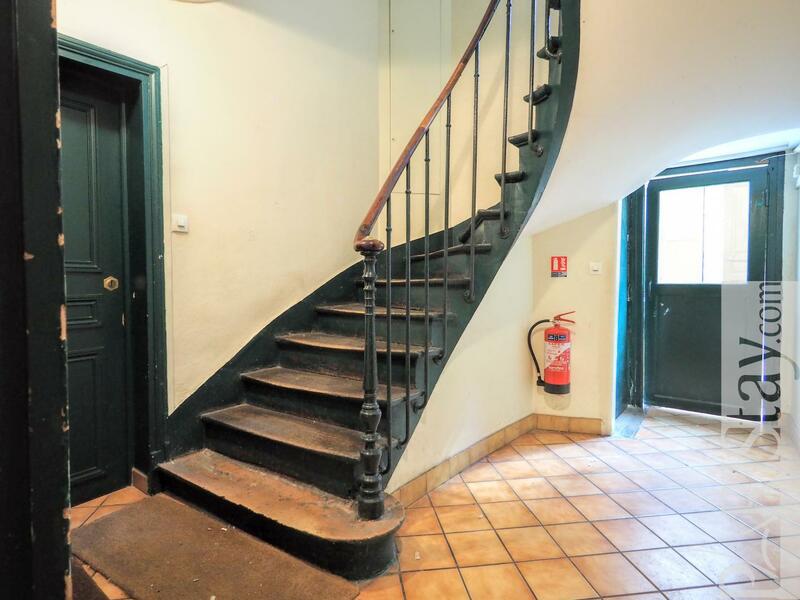 This flat is sitate on the 4th floor with no lift of a residential buiding. 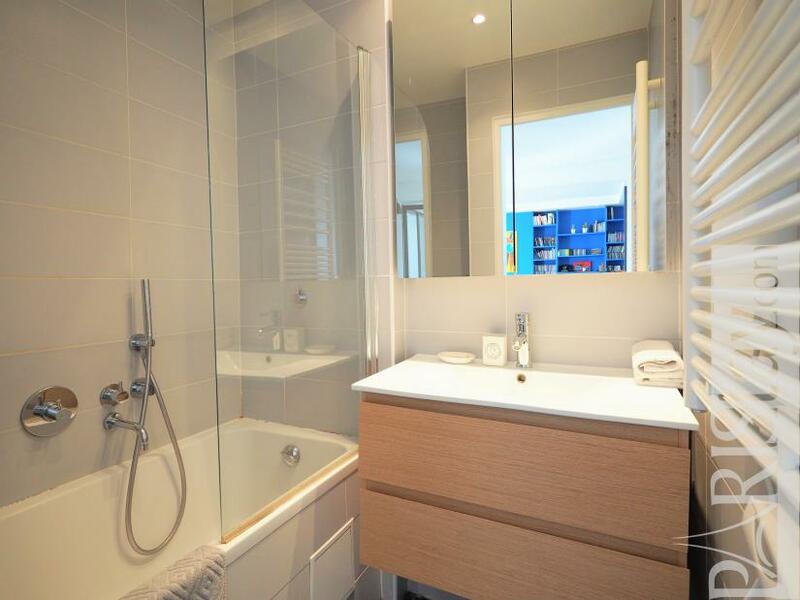 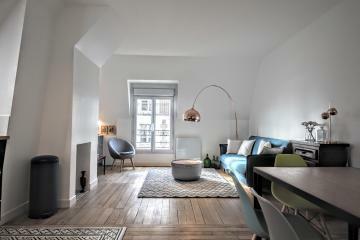 It has been totally designed and tastefully renovated to offer a spacious contemporary apartment. 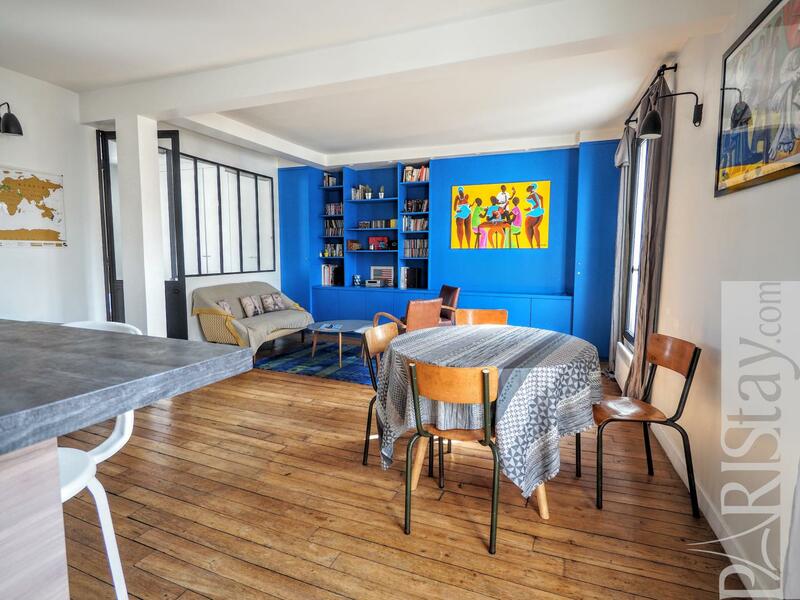 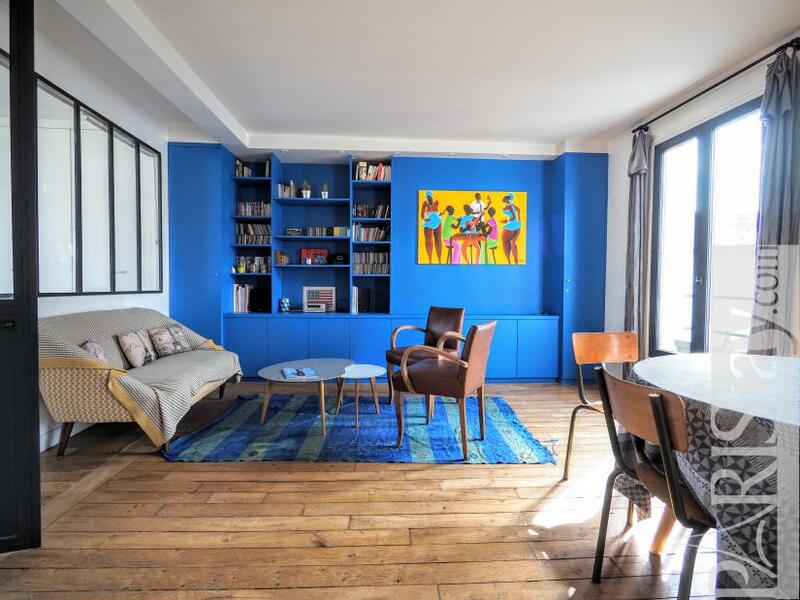 Bright living room with 3 south oriented wiondows on the Montmartre rooftops. 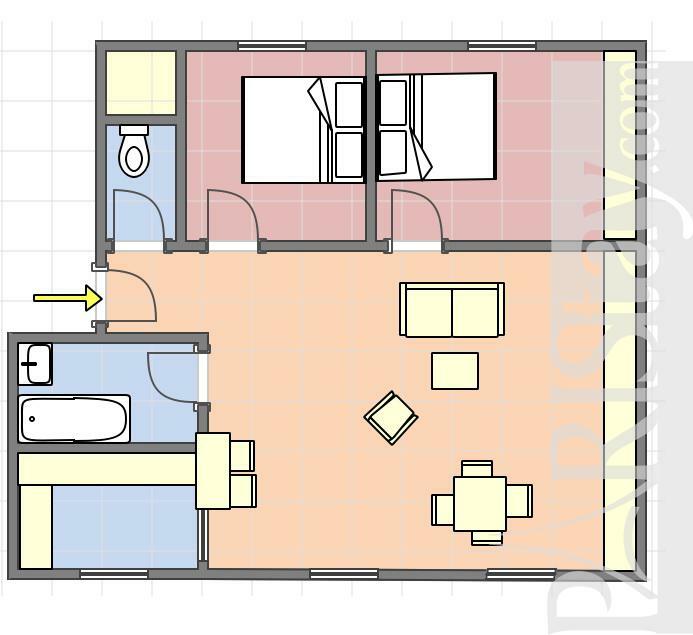 Master bedroom with a glass wall open onto the living room. 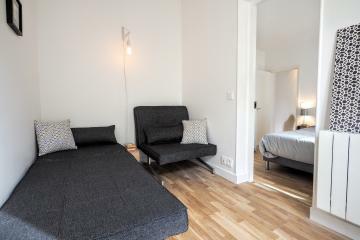 Second beroom with a double bed. 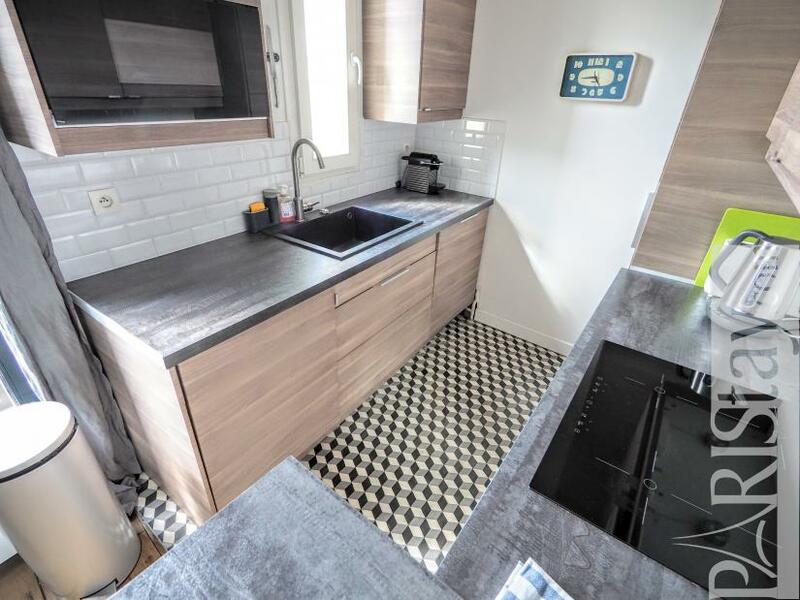 Fully equipped kitchen with bar. Bath room with bathtub, separate toilet. 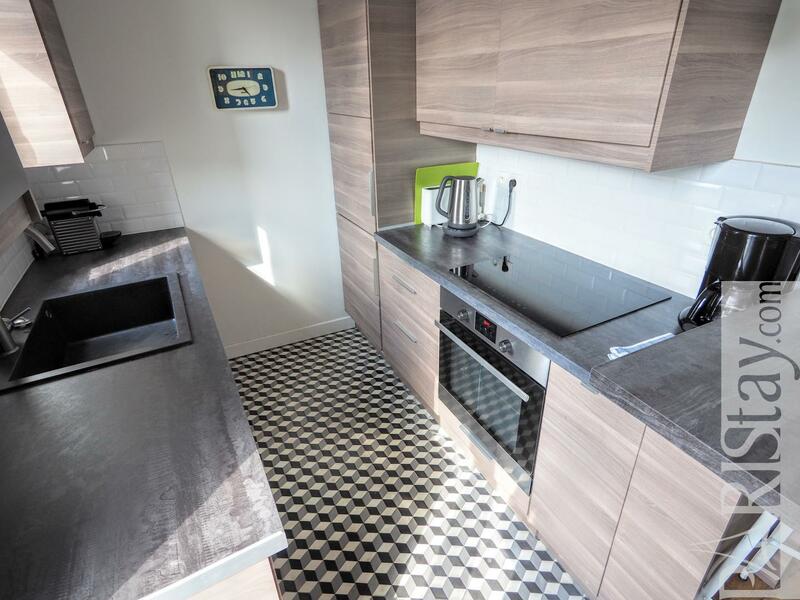 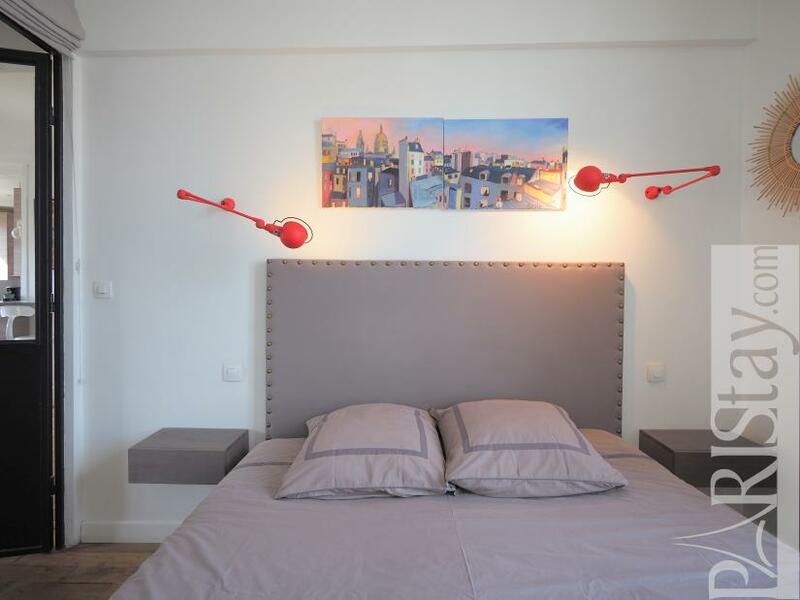 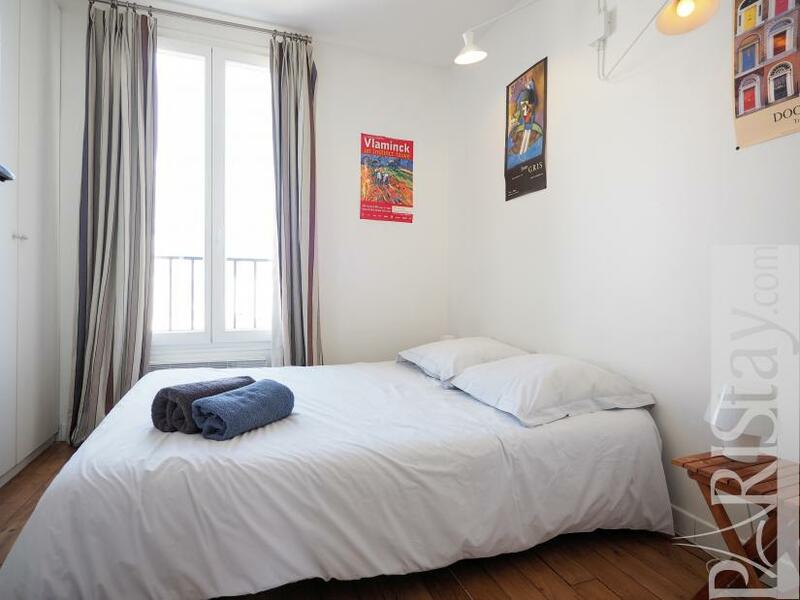 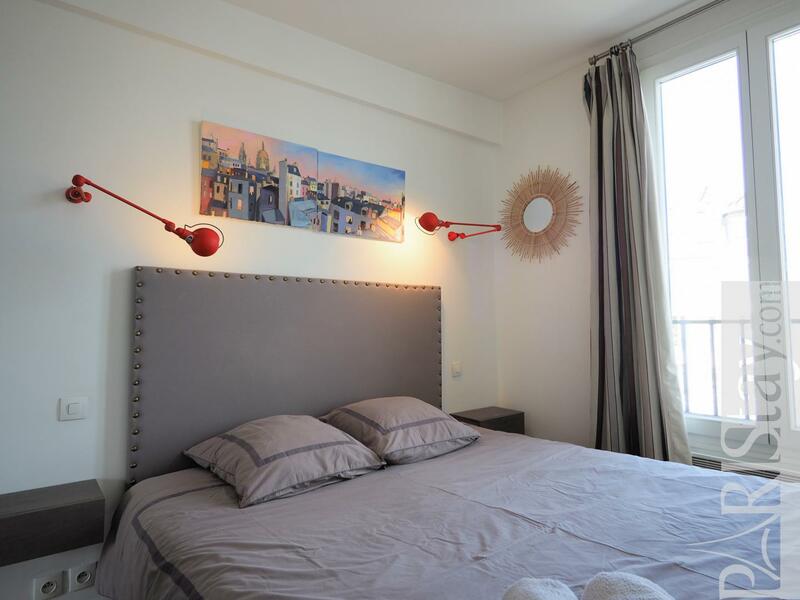 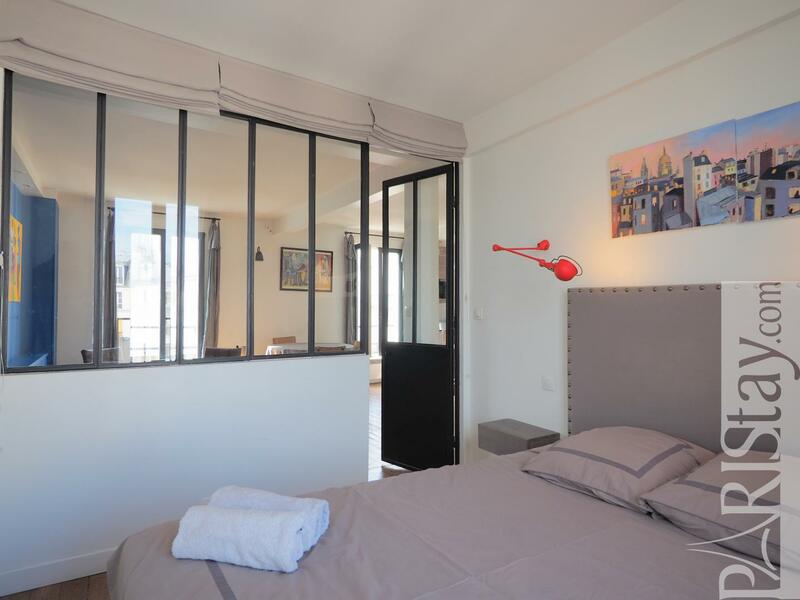 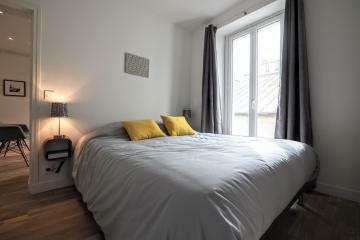 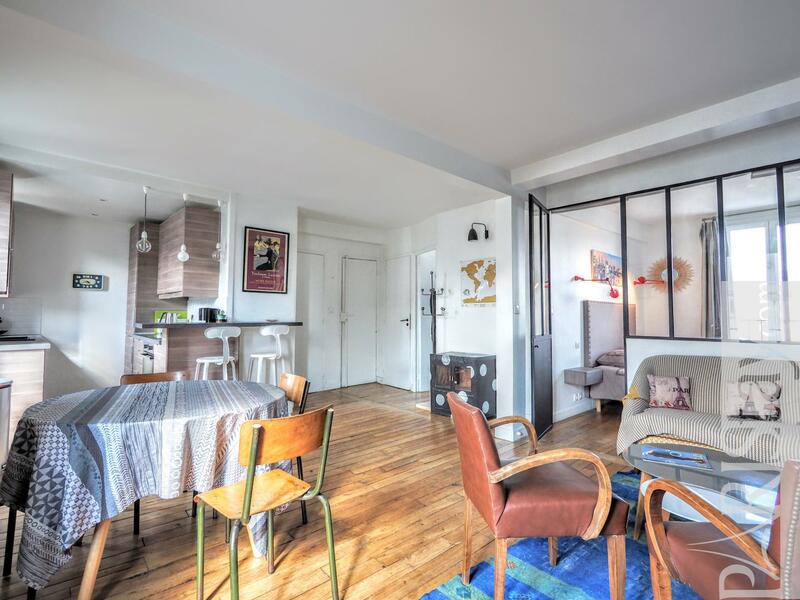 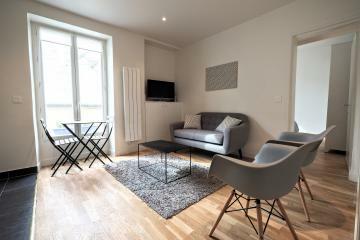 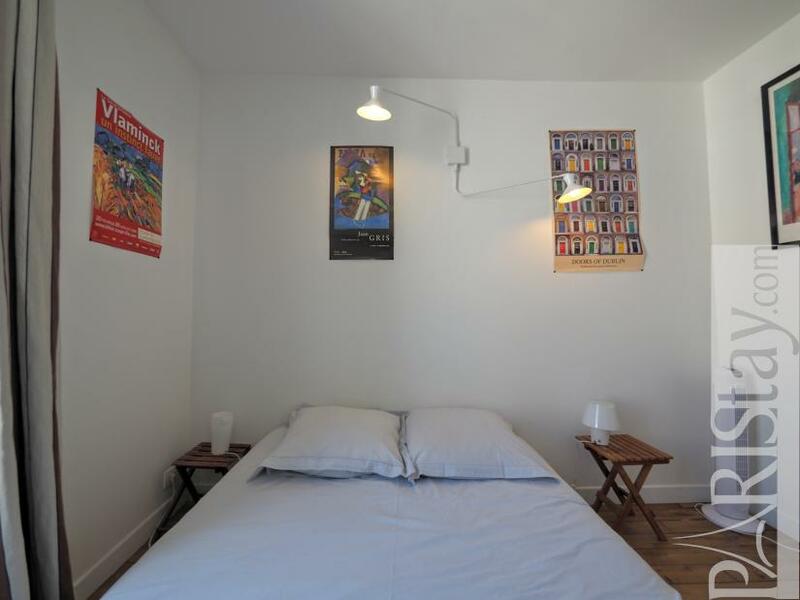 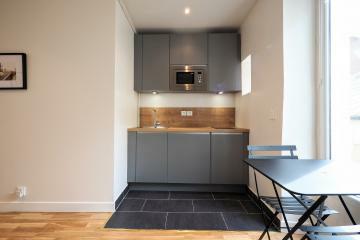 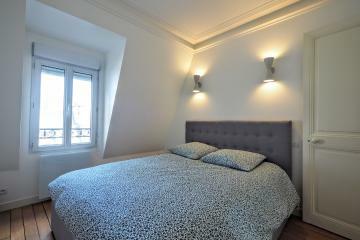 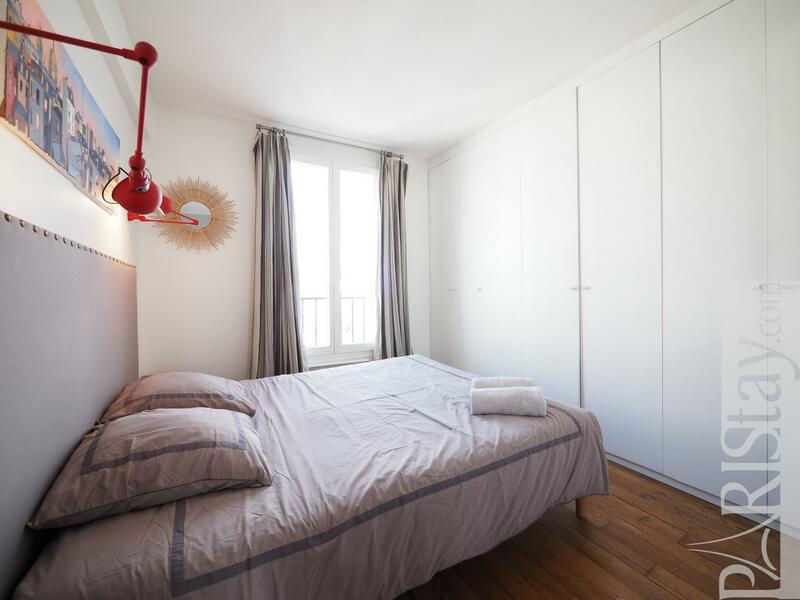 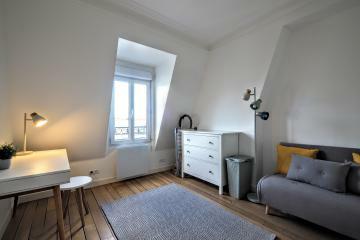 This apartment offers everything needed for a perfect long stay rental in Paris! 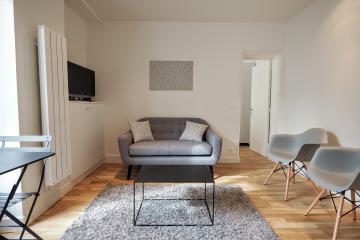 Get it quick! 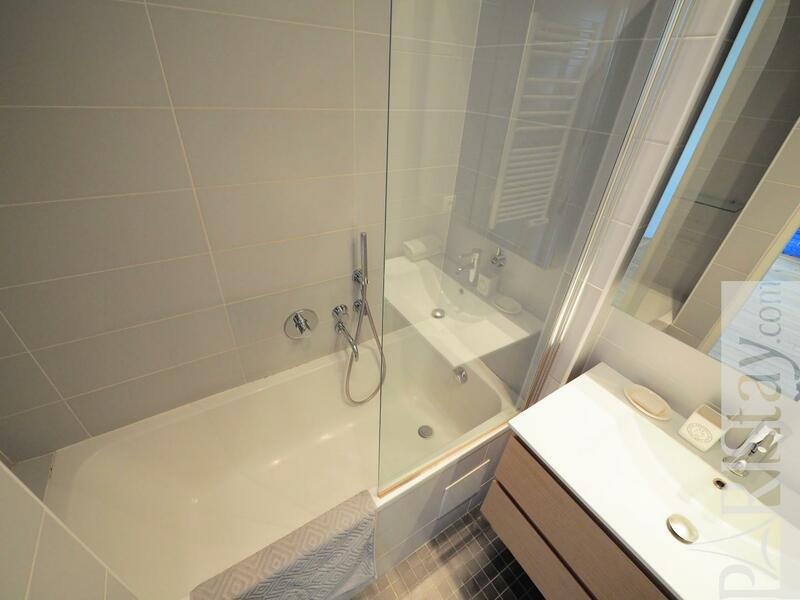 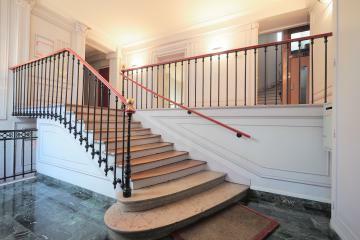 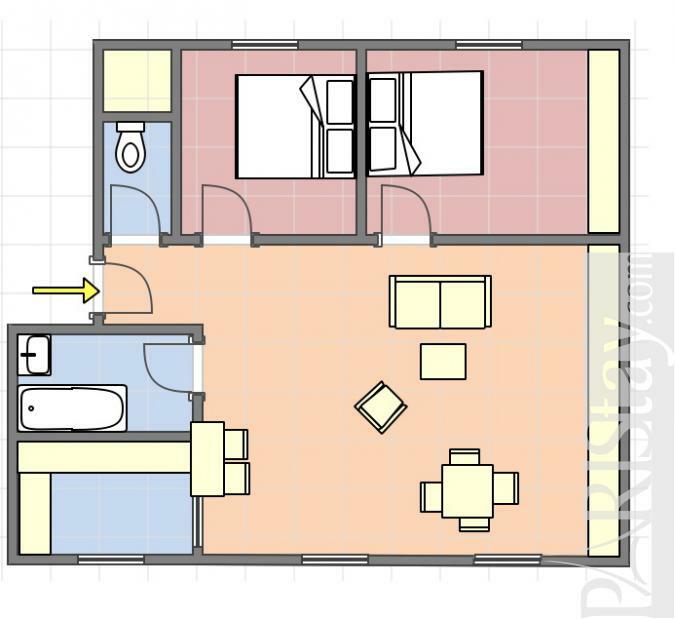 4 rd floor, without Lift, 2 bedrooms Appartement, furnished, Approx: 51m² / 548 Sq.Ft.